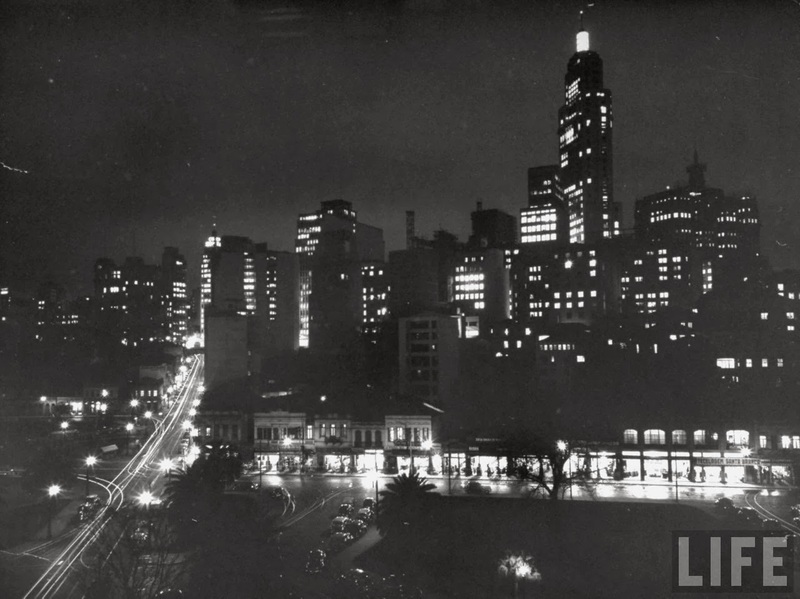 Sao Paulo in the 40s, 50s & 60s. 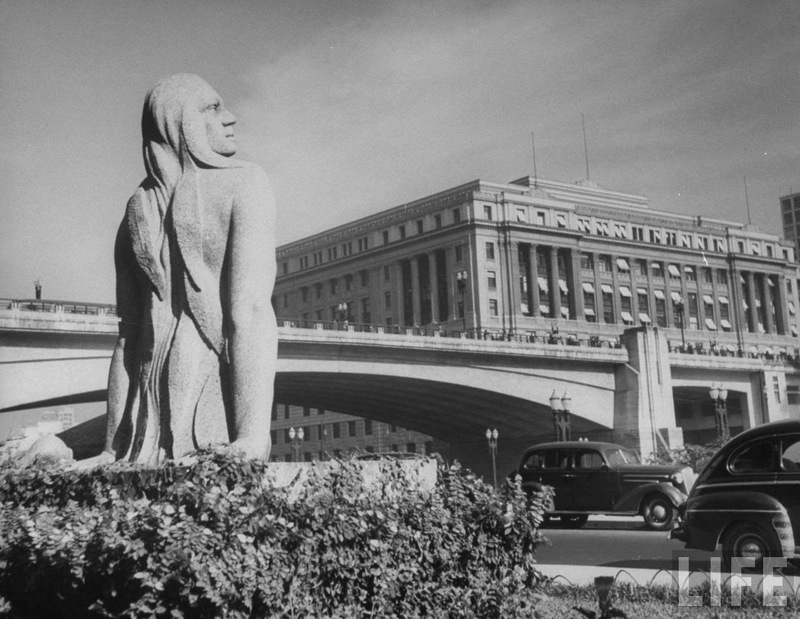 These photos were taken all in September 1947, by Life magazine photographer Dmitri Kessel. 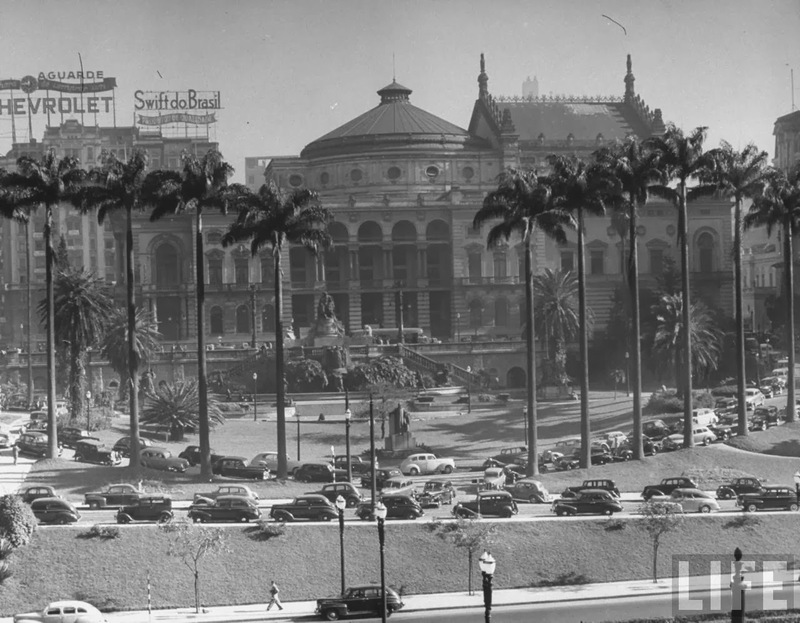 It was the same year in which the building housing the Bank of the State of São Paulo was finished. Alameda Porto Geral looking up to Rua Boa Vista. 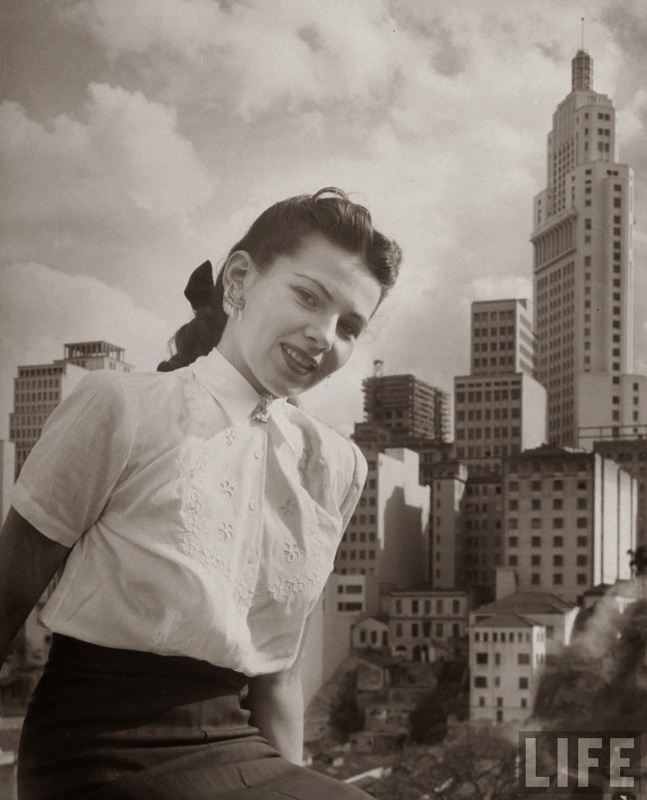 Cia.City Building at the top of the hill only emphasizes São Paulo's emulation of New York City. 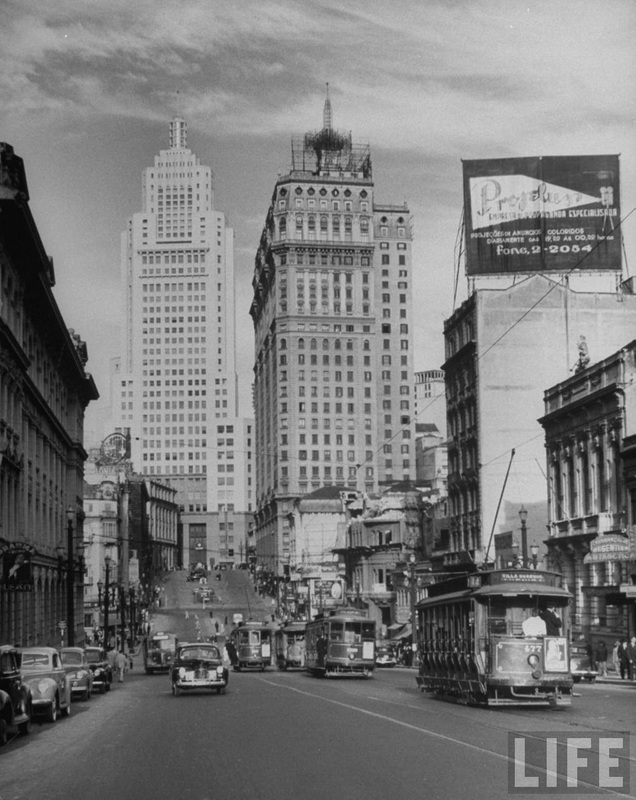 Financial District at Rua XV de Novembro on top of the hill. 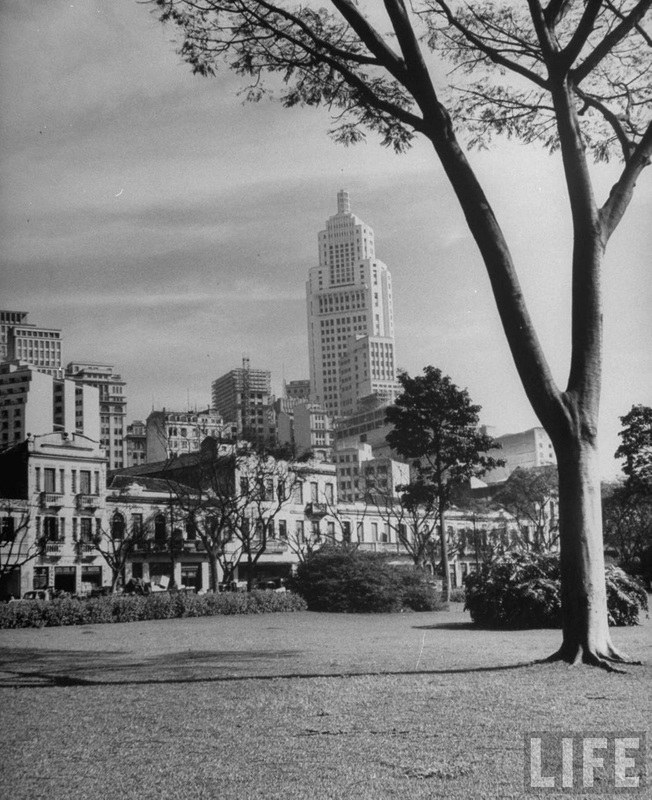 Parque D. Pedro II, having Banco do Estado's building, São Paulo's answer to the Empire State Building in the background. 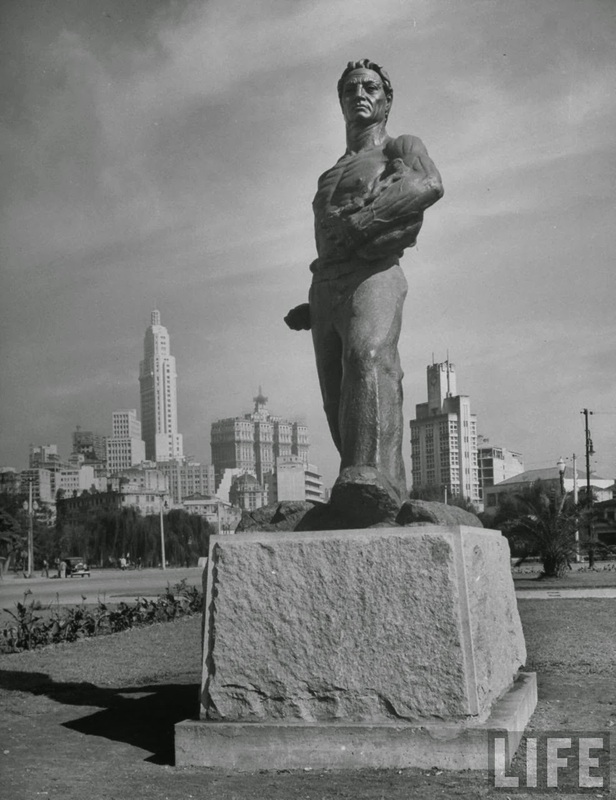 The sower (o semeador) at Parque D. Pedro II. 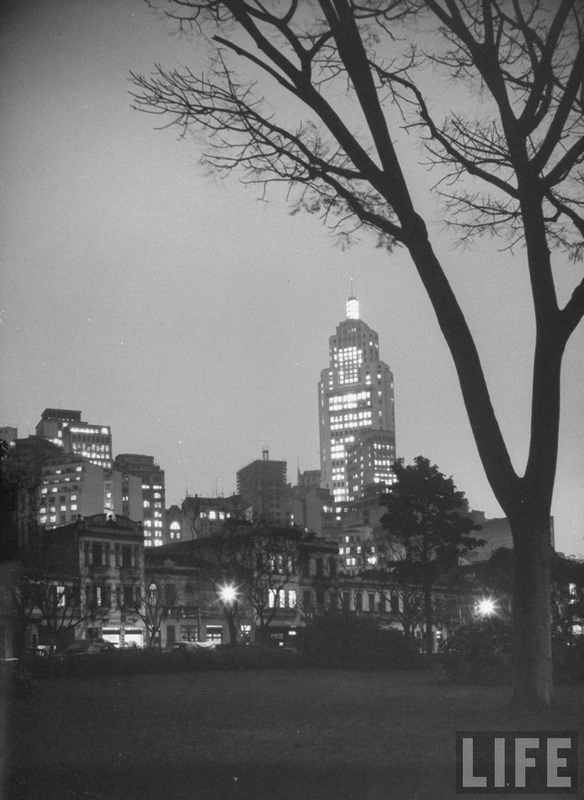 Parque D. Pedro II by night. 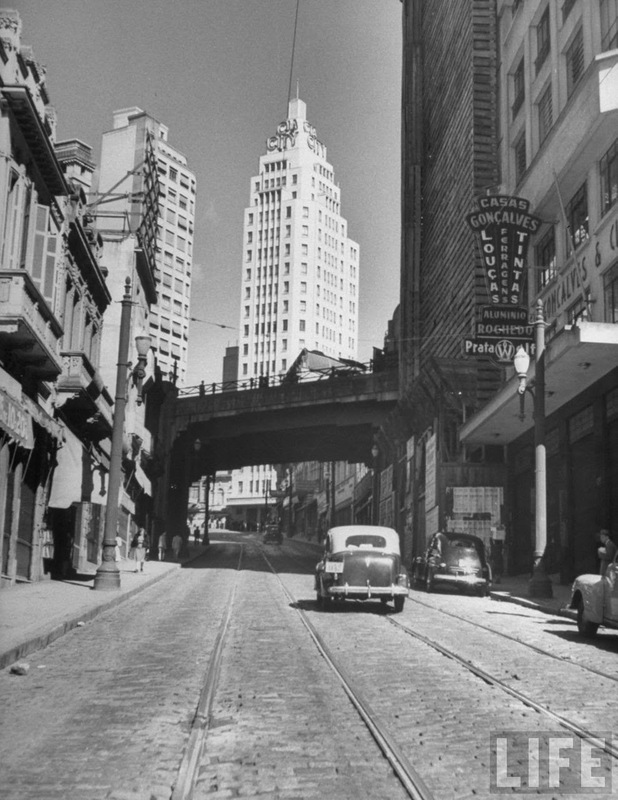 The street leading up is Ladeira Porto Geral. 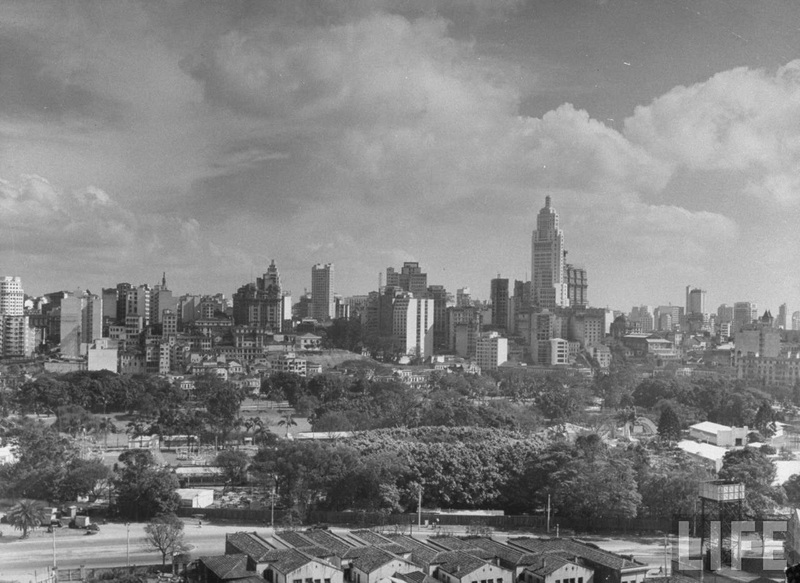 São Paulo 1947 skyline with Dom Pedro II's Park in the foreground. Same building seen from Avenida São João, the other side of town. 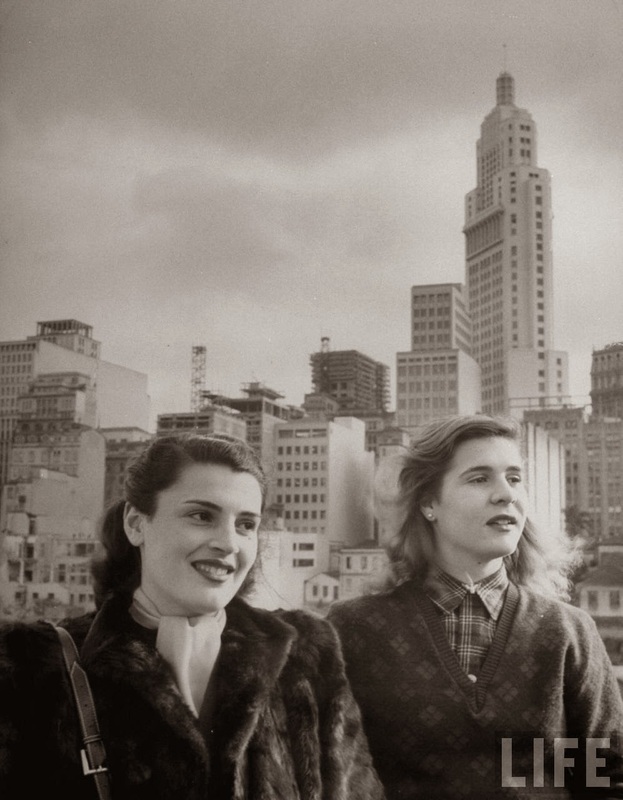 photo taken probably from the top of Banco do Estado Building looking down to Avenida São João going westward. 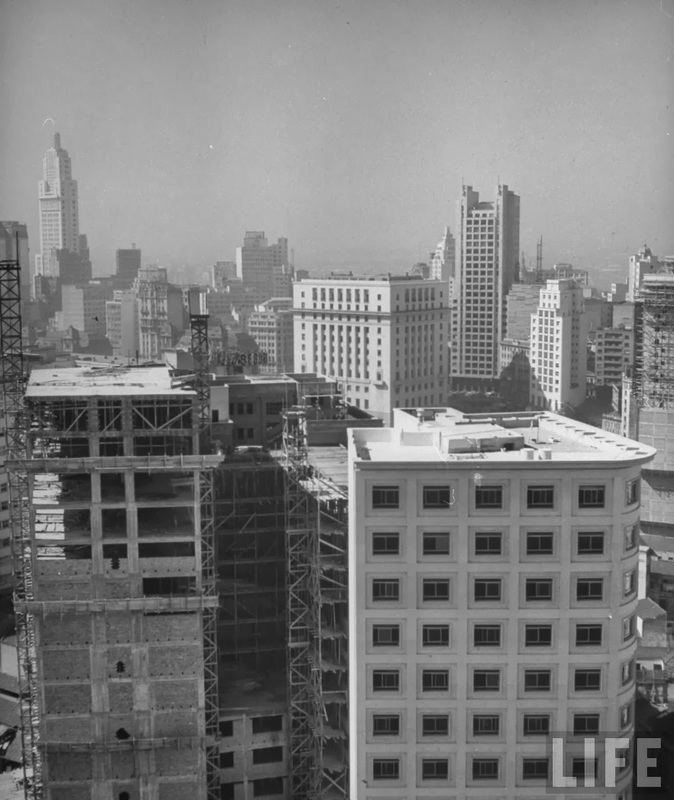 The big building on the right was the Post Office. 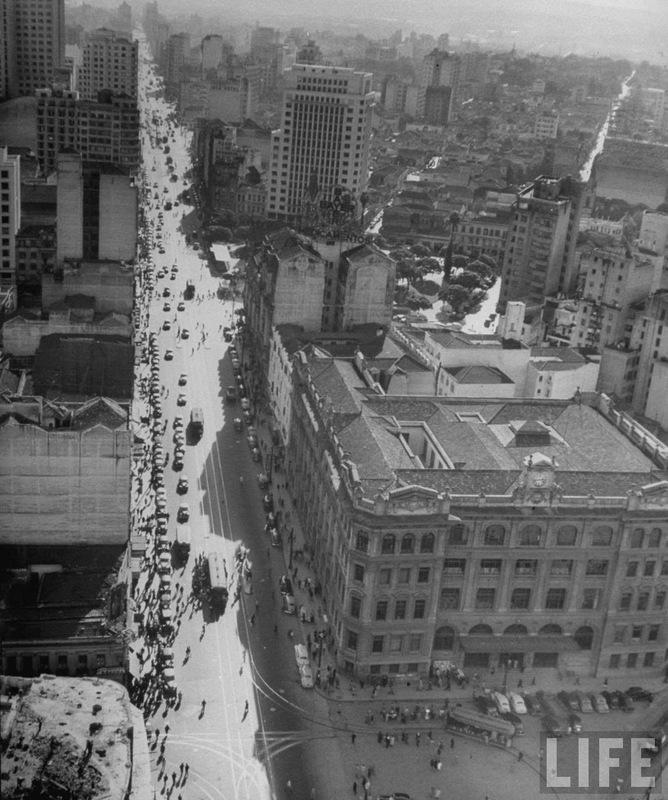 Anhangabaú Valley looking up to Light & Power Building on Rua Xavier de Toledo. 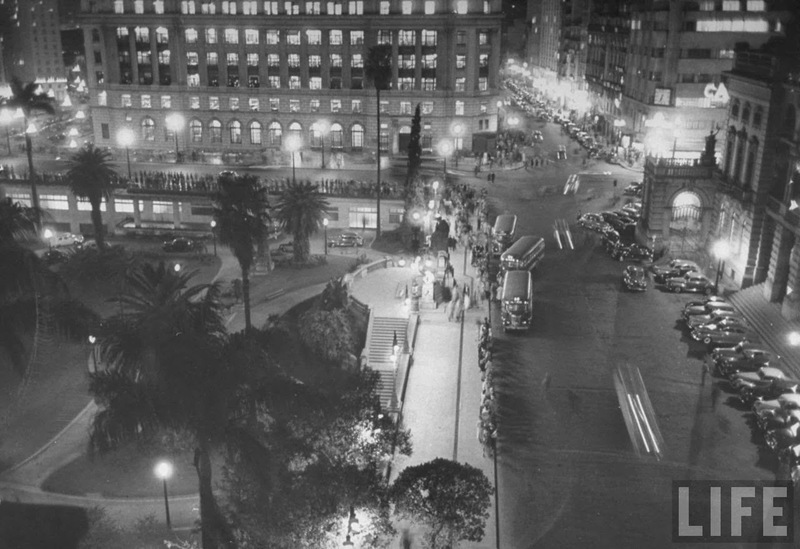 Rua Xavier de Toledo at night. Light & Power building is on the left. 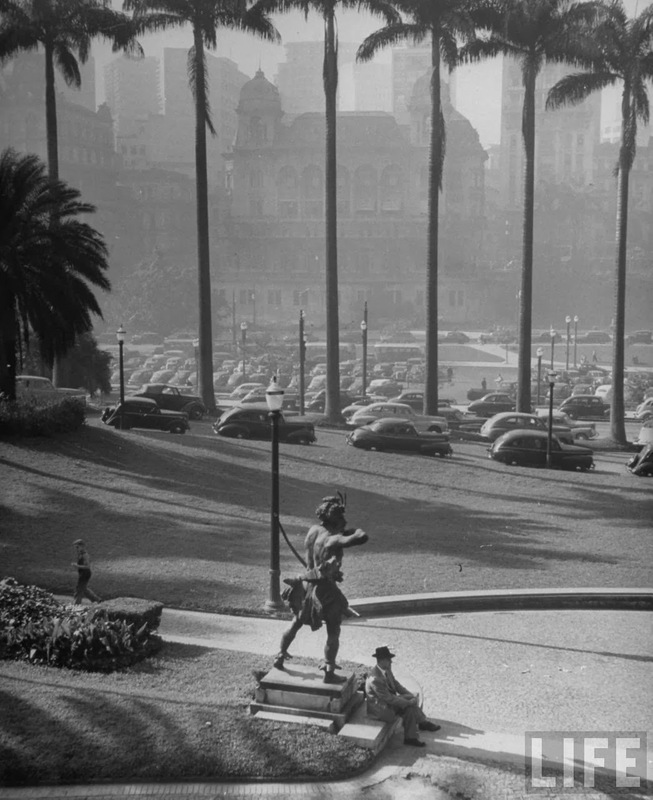 Theatro Municipal is on the right. 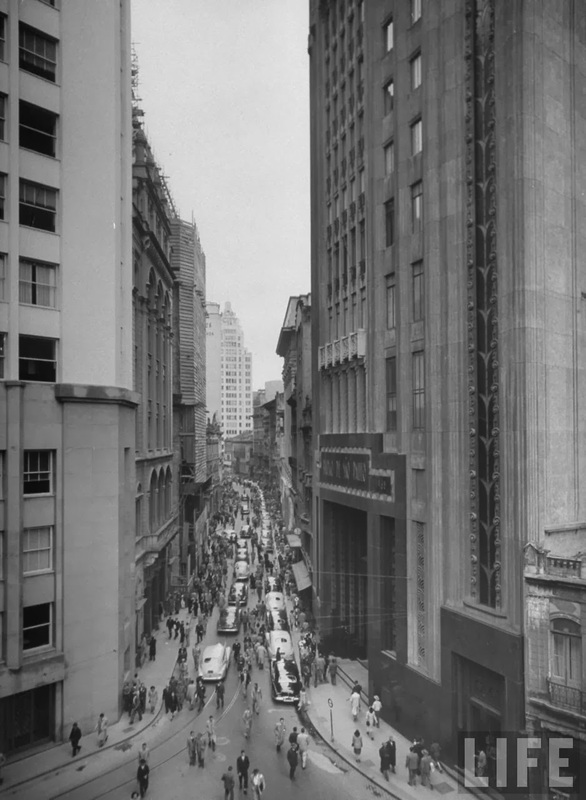 Rua Xavier de Toledo looking east. 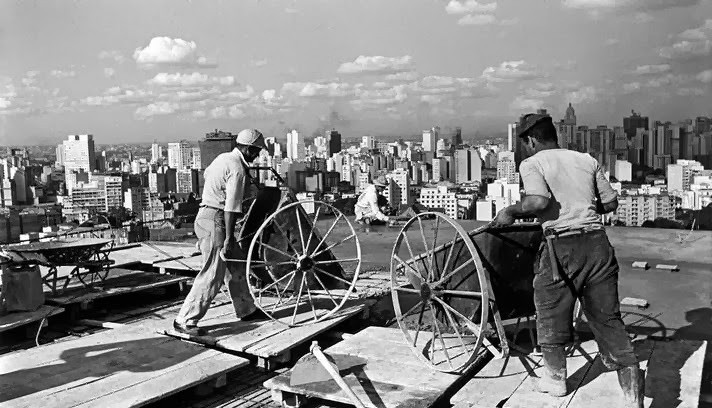 This photo is not actually part of Life's 1947 study of São Paulo, but it's a reminder that someone had to work hard to have all those buildings put up. And here are the unsung heroes doing their everyday chores. 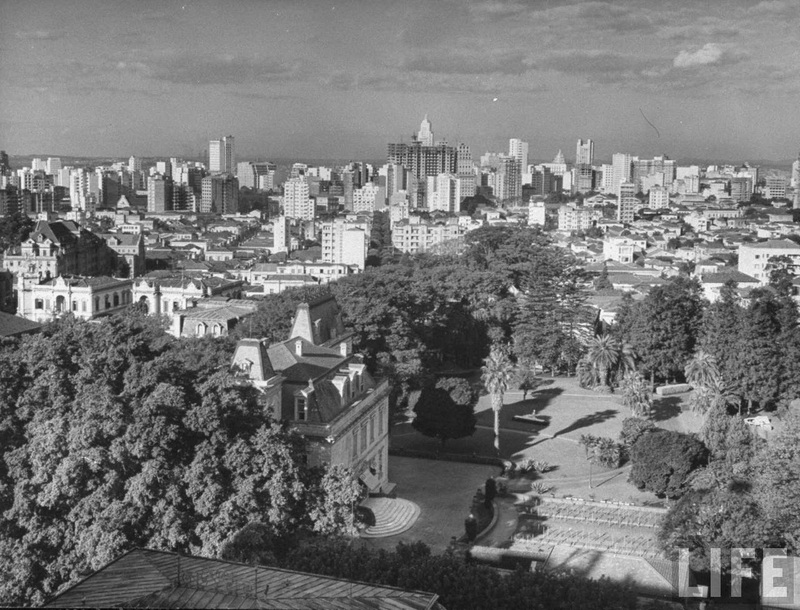 Campos Elíseos Palace was the seat of the State government. 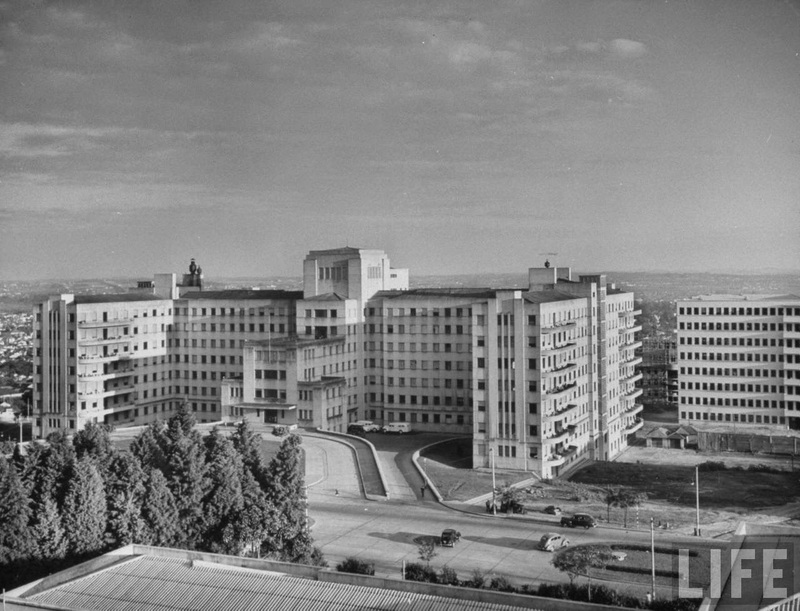 Hospital das Clinicas as seen in September 1947 by Life's photographer. just before the great fire... 1st May 2018.